IMAGINE if standing still was moving backwards, where more of the same equalled less, where achievements of yesterday were seen as possible impediments to a better tomorrow. This is an innovator’s mindset, and a winner’s mindset. It is the mindset of Jose Mario dos Santos Mourinho Felix, more commonly known as Jose Mourinho, and broadly acknowledged to be the most prolifically successful manager in world club football. Everywhere he goes, he gets to the top, and he wins. Chelsea’s latest Premier League title after a few barren years is his latest chapter in a remarkable success story. His ability to develop and implement strategy combined with a relentless pursuit of victory earned the self-proclaimed “Special One” a starring role among the world’s sporting, business and political elite in Alastair Campbell’s UK best-seller, Winners and How they Succeed. He is one of a handful to get his own chapter, labelled by Campbell, no mean strategist himself, as a “master strategist”. “Winning is not the only thing that matters, but it is certainly the most important,” says Mourinho, whose Chelsea side were told they “could not lose” to Sydney FC in front of 83,000 people at ANZ stadium last night. Mourinho does not really do “friendlies”. His longevity at the top of world club football, not a single day out of work since he first became a head coach, is remarkable; his boldness and strategy best appreciated in hindsight. Return to the seventh year of the Howard government when Shane Warne, another of Campbell’s Winners, was seeking to pay bail as opposed to knocking them over; the A-League was not yet “a league”, and the iPhone was still four years from giving Apple the world in the palm of our hand. Having won the league and cup double in his first year with Portuguese club Porto, Mourinho was about to challenge Celtic in the 2003 UEFA cup final. At the time it sounded like arrogance or hyperbole, but now comments made prior to the game seem like prophecy: “Mourinho ele nasceu para liderar” / “Mourinho was born to lead”, declared Porto’s President; “I’m so sure of my potential, my abilities and my competence that it’s not by winning or losing titles that I’m going to be less self-confident,” said Mourinho. The Champions League he won twelve months later helped reinforce this view of his competence, declaring himself ‘a special one’ by the time he arrived in England. So how can someone embarking on their career be so confident about how it is to progress? Unlike most business strategies with an objective of achieving a profit in say five years, tactics as to how to achieve that objective, and strategy that runs through both, Mourinho works to a long-term plan for his life and his ambitions – he decided to be a coach and spent years preparing himself – but also has the short-term mindset needed in the sporting arena. As Campbell points out, Mourinho’s objective is always winning, his strategy is to be the best tactician, and his tactics are about how he applies that in practice, game by game, minute by minute. For as long as Mourinho had confidence that his knowledge was better than his competitors he had every right to be confident about his chances of success, particularly given he was working with some exceptionally talented players. ‘The tactics are the model, the principles. So let’s say, day one, I come in, I want Chelsea to be a team that is always pressing, high up the field, high pressing, blocking, that is what I want. The basic tactics are made up of, say, twenty items. So, when the keeper has the ball, does he go short or long? 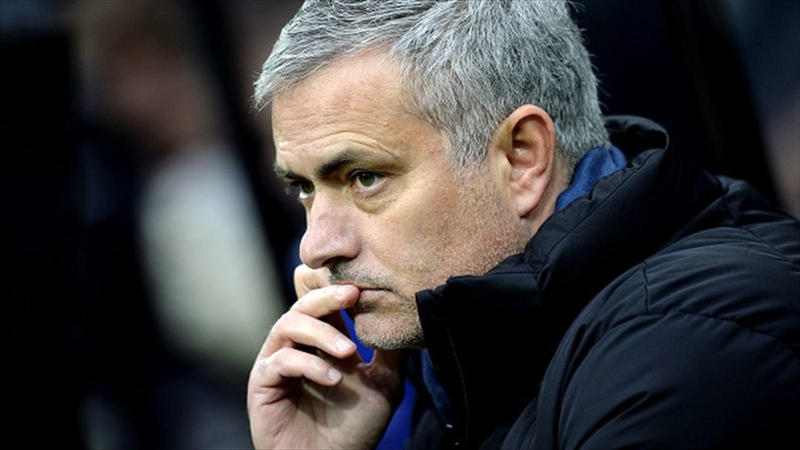 That is a tactic,’ explains Mourinho. These are ingrained in the players through hours and hours, day upon day, of training habits and decisions to make sure the tactical plan is understood and executed. The drawback with this strategy is it is knowledge-dependent and reliant on processes [analysis, data, knowledge] surpassing that of competitors. The only way Mourinho can ensure this is the case is by constant innovation. So how to stay ahead in the short term? It comes from what Bill Endicott, a former White House Director of Research and Analysis, coach of fifty-seven medal-winning Olympic, World Cup and World Champion canoeists, and servant of the US Marine Corps Reserve, calls ‘a fascination for the process. A fascination for the little details of what they do which inevitably leads them to do more than anybody else and lead to levels of understanding that most of us do not even realise exists.’ Mourinho never tires of the detail. When you develop a ‘fascination for the process’ such is the depth of knowledge developed and level of understanding, that decision-making quickens and innovation occurs in real time. When the Chelsea crowd started to chant his name, ‘Jose Mourinho, Jose Mourinho,’ his instinct was not to stand and applaud, but to redirect that chant towards his players for extra lift: little details; innovation in real time. This requires constant forward momentum. Stand still and you move backwards. It is a process of constant adaptation: acquire knowledge; innovate to stay ahead; fascinated with the process; acquire knowledge; and repeat, whilst all the while never losing sight of the objective ‘to win’. ‘I say to the players, “Enjoy the Game.” They know what I mean. I mean that if they lose, they won’t enjoy it. If they win, they will. That’s it.’ Chelsea enjoyed Sydney. The tactical genius of Jose Mourinho. Kevin Keith [@KevKeith] was a researcher for Alastair Campbell on the book:“Winners: And How They Succeed,” available to order online atwww.randomhouse.com.au and in good book shops. My article was originally published on http://www.news.com.au and can be viewed here.